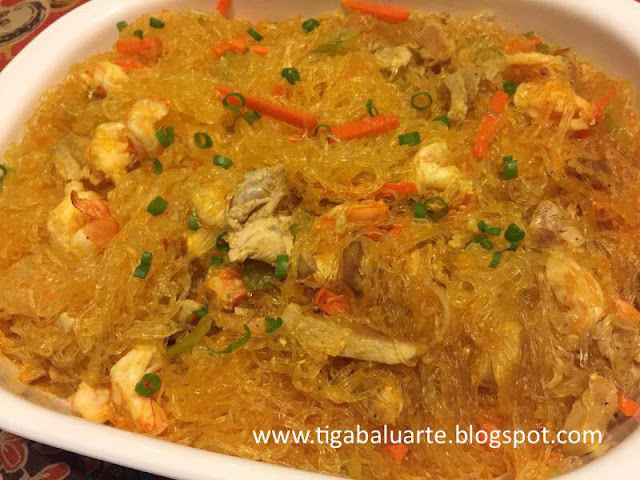 Pancit Sotanghon Guisado is another variety of Filipino noodle dish. 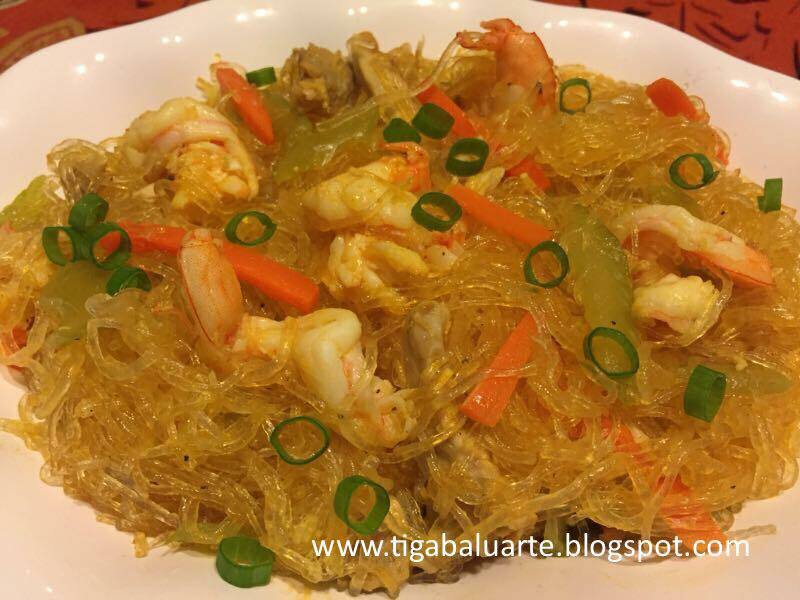 Sotanghon is also known as bean thread noodles, crystal noodles or cellophane noodles. See steps for cooking simple Pancit Sotanghon Guisado below. Soak sotanghon in warm water for few minutes. Drain water and cut into 3" length and set aside. Using a wide pan or a wok sauté garlic and onion in cooking oil till caramelized in medium heat. Add chicken slices. Stir till chicken turns golden brown. Add shrimp and 1/2 cup water. Simmer to soften the chicken till water evaporates. Add carrots, celery and cabbage. Allow to cook for few minutes and remove from the pan. Set aside. Using the same wok bring 3 cups of chicken broth or water to a quick boil. Add knorr cubes, achuete oil and oyster sauce. Season with ground pepper and salt to taste. Reduce heat to low. Add sotanghon to the wok and mix well. Allow noodles to cook for 5 minutes or till fully cooked while continuously stirring in low heat. Add the sautéed chicken/shrimp and veggies to the sotanghon. Mix well and cover wok. Simmer for few minutes and remove wok from heat. Transfer to a serving dish and serve with kalamansi or lemon wedges. Enjoy. If you think the sotanghon is still not fully cooked or dry, add more water slowly but make sure to use warm or hot water.